Become a part of the WCNY Thursday Evening Business Development Group! Address will be sent via email to all registered guests 24-48 hours prior to the event to the "Primary Email" address listed in your profile. Please review your profile to confirm that the email address listed is correct. Click here to register. Everyone must pre-register to attend. All new participants must contact thursdayleads@whartonny.com before attending this meeting. Please be sure to include your full name, line of business, company name, e-mail address and phone number. To learn more about the Thursday Evening Business Development Group, e-mail Lifan Shen at thursdayleads@whartonny.com. 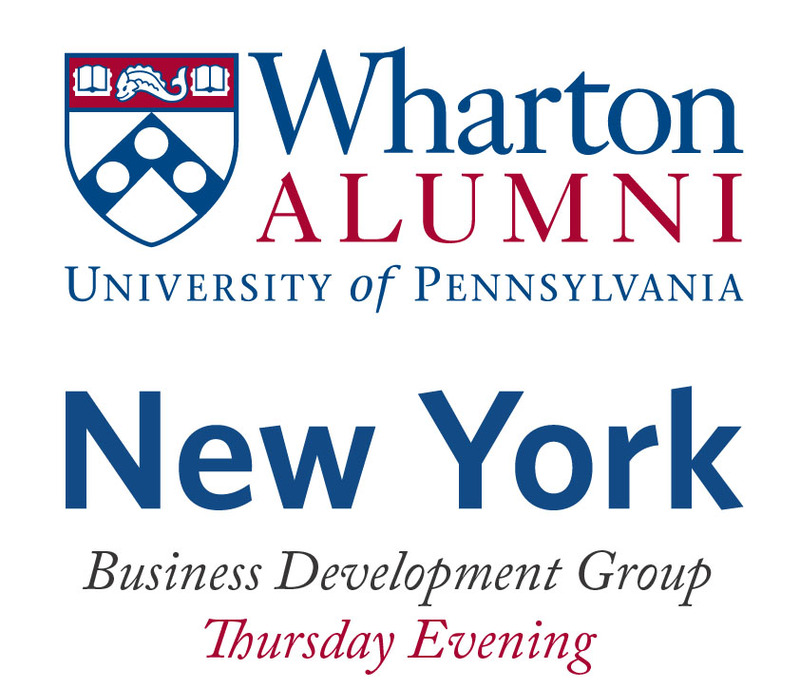 A Business Development Group is a non-competitive group of Wharton alumni formed within the Wharton Club of New York designed to share business leads that result in increased profits. Each Business Development Group is a closed group whereby WCNY Supporting Members and higher can join as long as their industry/function does not compete with another Business Development Group member within that same group. Each Business Development Group meets 1-2 times a month and each member must attend regularly or risk losing their exclusive spot within the group. Members also expected to participate actively by referring leads to members within their Business Development Group. It gives Wharton alumni yet another chance to strengthen their networking skills and tap into the powerful Wharton business network, with over 16,000 alumni in the NY metro area alone. Please see our schedule of upcoming Thursday Evening Business Development group meetings.